It’s beneficial for your children to let them choose what they like and what not. But as parents, it’s important to give them the right guidance and help them discover wonderful things. Besides sports, which are very important for your children’s physical health, playing a musical instrument has a great impact on your child’s mental development. Out of the great options of musical instruments on the market, pianos are considered to be the kings of instruments. Pianos for children are a subcategory of these musical instruments. 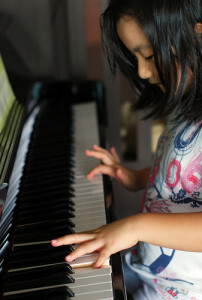 Children can start learning how to play the piano using a full 88-key model, but pianos for children come in varieties with less keys, which may be easier for the little ones. We recommend choosing a full sized digital piano for beginners, not necessarily one with less keys. It depends a lot on the age of your children. If they are very young, at the age when their tastes are too unpredictable, a big investment would be considered to be a high risk one. This is why it’s a good idea to start with something less pricey and upgrade to a full 88-key model when you see that your child is developing a passion. One way or the other you’re still going to end up purchasing a full 88-key model, so you might as well opt for one from the start, it’s ultimately your decision which way you want to go. Choosing between so many options of pianos for children, might confuse you. This is why we will help you make an informed decision. Below are 5 benefits of playing a musical instrument, especially from a young age. If you would like to see our choices for the best pianos for children, scroll down and skip the list of benefits. It’s fun. Playing the piano is a very fun activity that sparks your creativity. Once your children will get to a certain level where they can play multiple songs and musical pieces, they can play for friends and family and have a great time. Going down this path they may turn this new found fun activity into a very rewarding career. This is a great option when looking to purchase pianos for children. 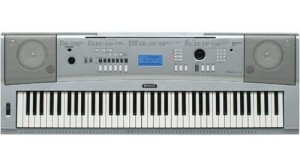 Yamaha DGX230AD Digital Piano packs a lot of features into a portable and easy to use keyboard. It has a great sound, resembling grand acoustic pianos and many voices and functions that will keep the little ones playing for hours. This musical instrument is a lot of fun to play even with limited talent in music. In our opinion, the strengths of this digital piano are: great sound, runs on batteries if needed, versatility, portability and connectivity (to laptops or other devices). 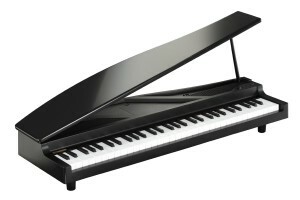 It has a very competitive price, making it hard to compare to other pianos in this price range. Yamaha DGX230AD Digital Piano is a truly great option for children. This is a very good piano for children from two different perspectives. First, it is a miniature version of a grand piano. This may be as much a plus as a minus, because the end goal is to play a full sized piano. Second, it is portable. It runs on 6 AA batteries which enables children to take their piano anywhere and play without needing a plug. The thing is, you can’t wish for an extraordinary amount of features in this price range. A big advantage of the Korg MicroPiano is that although it’s a simple instrument with not too many features it has a Korg sound engine, which ultimately is a standard for quality sound. The main reason why you should consider purchasing the Korg Micropiano 61-key Compact for your kid is the portability, the quality sound and the lid, which makes it stand out, especially in this price range. Some of the big pros of this digital piano are the combination of portability (runs on AA batteries) and the fact that it’s lightweight. This is important for children who start learning how to play the piano because they can take it with them and practice wherever they go. The sound quality isn’t bad at all, especially when compared to previous Yamaha models that are comparable to this one. The keys are touch sensitive, which means they will sound lighter when pressed lighter and harder when pressed harder. Ultimately, Yamaha Piaggero NP31 is a good choice in its price range. An alternative to the Piaggero would be the Yamaha P35B, which is the essence of a digital piano.